•The Quick Navigation is now disabled by default. •The scaling of the user interface has been improved for high monitor resolutions. •Other minor errors have been fixed, several improvements have been incorporated. •Please note: This version is going to be the last version supporting Windows XP. •New SMTP Sending Profiles are now created with TLS Security by default. •Some errors during the manually triggered connection test have been fixed. •The column "Last Sent" is now sorted according to dates. •The "Search in all Lists" features now has a "Delete" Button to reset the search results. •When sorting a list, SmartSerialMail will now keep entry selections. •The recipient list does not scroll anymore when changing the sending status of some entries. •Exporting a list does not change the position in the recipient list anymore. •The import summary now always shows the correct amount of imported entries. •Excel export now also contains the "Status" information. •The functions "Redo" and "Undo" are now available in the HTML editor. •The text floating property for images can now be set via HTML editor (float). •Problems with German umlauts have been fixed. •The function "Delete" in the context menu now always deletes the selected content. •The hint dialog when pasting content from MS Word via Clipboard has been improved. •The profile’s "From" address is now used as the default value for the "Test Email Address". •Under special circumstances SmartSerialMail was not responding anymore when loading the preview. This has been fixed. •Resynching the sending status while a sending task is running is now supported by a failsafe mechanism. This prevents data loss, even when the computer crashes sending. •An error in HTML processing has been fixed: Apostrophes are no longer replaced by "&apos;". •The stability of database connection has been improved. •Errors blocking the installation of SmartSerialMail Free in Windows XP have been fixed. •The support for Windows 10 has been added. •Autodetection of profile settings has been improved. •CPU usage has been dramatically reduced. •Users can now search for an email-address in all existing lists at once. •The columns of a recipient list can now contain more than 255 characters. •User-defined templates: Content can now be saved as a user-defined template. 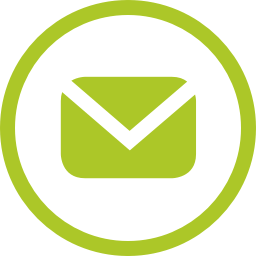 •The message Id of sent emails no longer contains the local computer name. •Problems when importing from a non-formatted text file have been solved. •The behavior of the menu tree has been improved: Folders are no longer closed when saving the content and right-clicking behaves like expected. •The user interface has been improved for larger display resolutions. •A lot of other corrections and improvements have been made. •SmartSerialMail shows and processes large recipient lists more effectively, delays have been eliminated. •Loading a great number of tasks or using a large recipient list no longer prolongs loading times in the dispatch view. •Different fonts and a consistent interface design result in a much clearer user interface. •Individually configurable user interface: Navigation elements can be toggled under "File" -> "View". •History: The fife most recent versions of the recipient list are saved automatically and can be restored if required. •History: The fife most recent versions of each content are saved and can be restored if required. This includes the HTML part as well as the text-only part, the subject, and all alias placeholders in the content. •A new version of SSL is used for sending emails via a secure connection. •The sending interface has been redesigned: "New task" is now accessible via the quick navigation; the selection of profile, recipient list, and content has been improved. A diagram provides an overview over the five most recent sending tasks. •The "Do not show again" option for dialogs now works correctly. Once a dialog has been switched off it will not be shown again at startup. •Some minor bug fixes and improvements have been added. •The column mapping of Excel imports is now reused in case of subsequent imports. •Connection issues with mail servers which only suppsupport orting SSLv3 have been fixed. •An error when changing the font setting for HTML content and using the keyboard has been fixed. •Updated the SSL version to 1.0.1l. •In some cases the encoding of special characters in the subject failed. This has been fixed. •The performance when working with recipient lists has been improved. •An error that could occur when creating a database backup has been fixed. •Some minor issues have been fixed. •An error occurring when switching to "Sending" has been fixed. •The automatic column mapping on import has been fixed. •An erroneous email encoding could cause a faulty representation of special Characters. This issue has been fixed. •An error occurring when processing images in preview and sending has been fixed. •The SSL version has been updated. •Loading of completed sending tasks has been improved. •Problems occurring when synchronizing the recipient list after sending operations were performed have been solved. •The estimated delivery time is now calculated on the basis of the last sending operation. •HTML links can now be opened directly in the preview window. •Images are now included in the calculation of email size. •The loading time of large lists has been improved drastically. •Duplicates are now identified faster in the import process. •New function: Go to next "unsent" recipient. •Minor errors occurring in import of excel files have been fixed. •An error occurring when identifying syntactically invalid email addresses has been fixed. •The recipient list is now saved after removing duplicates. •When importing HTML content created in MS Word SmartSerialMail now checks for invalid HTML strings and warns the user. •Exporting and re-importing content with placeholders in the subject now works accurately. •Sometimes changes in content were not saved. This error has been fixed. •Fonts can be selected in the dropdown menu can now be selected by entering the fontname’s first letter. •The automatic recognition of server settings for new profiles has been improved. •An error occurring when shutting down the sending application right after starting the computer has been fixed. •Several minor errors have been fixed. •Import from certain Excel-Files was not possible or caused an error. This has been solved . •Importing content from MS Word works now also on systems with installed MS Word 2013. •The error-reporting module of the sending application did not work correctly. This has been solved. •Added print function for recipient lists. •An error occuring when importing Excel-Files has been fixed. •In some cases, syntactically incorrect email addresses were not recognized. This problem was solved. •Users can now easily select the colors of the email templates. •Improved menu: the import functions are now easier to find. •The size of images can now be changed while constraining the aspect ratio. •New button facilitates adding a horizontal line. •The HTML editor no longer automatically adds "font-family: Times New Roman" to the HTML code. •Certain special HTML content could cause a software crash. This problem was solved. •The preview can now be printed. •A possible overload of one CPU core occurring when pictures with percental size declaration were used has been fixed. •Added support for Punycode-Domains in email addresses. •In some cases a sending task was not started. This problem was solved. •Several small improvements have been made. •The "external editor" can now be accessed from the main menu. •Content featuring special characters in the file name can now be processed in the external editor. •On some systems an error could occur when closing the program. This is no longer the case. •An error occurring when certain content was loaded has been fixed. •The placeholder syntax has been improved. This prevents text from being falsely identified as a placeholder. •An external HTML editor can now be used to edit email content. •The open source HTML editor "KompoZer" can be downloaded and installed without closing SmartSerialMail. •53 sample design templates are included in SmartSerialMail V1.2. •The connection error occurring when "POP before SMTP" was selected has been resolved. •The new option "copy attachments to database" prevents a rapid growth of the internal database. •Importing Excel-files could result in a program crash. This is no longer the case. •Problems occurring when manually restoring the recipient list from a previous sending task have been resolved. •Printing the sending report works again. •Duplicate entries in recipient list which are not marked as "unsent" do not create a warning any more. •New function: "Paste as Plaintext" allows inserting plain-text representation of formatted text (e.g. when copied from MS Word). •Special HTML links (such as "tel:" or "phone:") are no longer falsely detected as missing images. •Category folders are not expanded automatically when switching to a non-categorized content. •Sorting the list of "Used Images" now works even when a web located image is in the list. •Images and attachments containing "%" in path or filename are now resolved correctly. •Deleting a HTML table cell does not delete the whole content anymore. •Preview can now be saved as Eml-File or as HTML-File. •The Preview now uses the same sort order like used for recipients list. •Now SMTP sending via SSLV3 encryption is supported. •An error message is created when profile contains a wrong Cc-Mail-Address. •A warning in sending protocol is now shown for missing attachments and images, even when the user configured to send the mail anyway. •In case of a server side closed connection the last error message of the SMTP server is now shown in sending protocol. •The "date" column of sending protocol is now resizeable. •Database Backup now also contains the program settings and is provided a ZIP-file. •On some systems the software stopped responding after opening email content. •The internal data management (database) has been optimized - the amount of database operation has been significantly reduced. •Placeholders are now correctly replaced when used in custom email header. •On non-English or non-German systems, the Freeware Edition now starts properly. •The second import of recipients now works correctly. •You may now use copy&paste operations to add the content of an Excel file to a recipients list. •Mails are now sent in the same order they appear on the recipient list. •Import of HTML content failed if the HTML source was coded erroneously. •Under some circumstances the recipient list was saved even though the user canceled the save dialog. •The content now opens at the correct position when clicking on the "missing placeholder" link in the preview. •An error appearing when a user tried to link a local file he had no access to has been fixed. •The import of a recipient list will no longer fail if a column was named "count". •Defining text fore- and background color now works with the first click of the button. •Recipients list containing a "/" in their filename will now be imported properly. •When replacing an image the thumbnail preview of is now refreshed automatically. •Cancelation of the profile wizard now works properly. • A new ribbon tab "Help" has been added. •When deleting single entries from the recipient list, an error could occur requiring a restart of SmartSerialMail. •In case of certain HTML content, an error occurred and the sending task could not be started. •If certain special characters were used in the HTML content, e-mails could not be sent and a misleading error message was shown. •If multiple displays were used, showing the program window on both monitors at once could lead to a program crash. •Using the search function in the e-mail content could lead to a system crash. •Internal processing of e-mails (content, preview, and sending process) has been accelerated. •The interface to MS Outlook has been updated. •Some other errors were fixed and minor improvements were made. •The speed of the user interface has been improved. •The HTML compatibility tests will be performed faster. •In rare cases a profile was overwritten by another profile while saving. •When importing content into text-only e-mails the content got lost in some cases. •An error occurring when generating the text-only part of the e-mail has been fixed. •The order of recipients in a recipient list was not saved. •A recipient list was not made available if a sending order was cancelled. •Placement of an "&" in a quick part produced a display error in "4. Preview". •Under certain circumstances the sending task status was not logged correctly. •Under certain circumstances a sending task was not closed. •Cancelling a sending task could lead to a problem when closing the order. •Resync of recipient lists from a completed sending task has been optimized. •In certain circumstances an error occurred while writing the recipient list after a sending task was completed. •Release of the new "SmartSerialMail Freeware Edition".